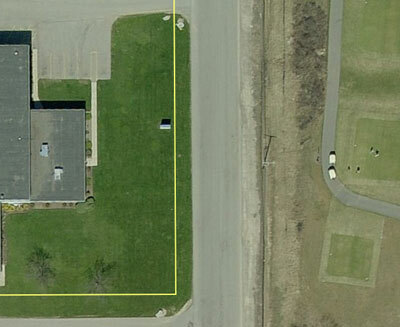 Compacted soils cause unhealthy plants, lawns and trees. They stay soggy when wet, and turn rock hard when they dry out in the summer. When soils are “tight”, necessary air, water and nutrients cannot move through the soil. Disease occurs. Roots are stunted. Beneficial micro-organisms can’t survive. Plants are stressed and weakened. When you are doing everything else right, soil compaction will ruin all your efforts. Here it is late November and the lawn is still the greenest and thickest in the neighborhood – this has never happened over the six years I’ve been working on the lawn. It looks so good my wife has even made some positive comments. I’m so pleased with the results I’ve just placed another order for the Aerify Plus. 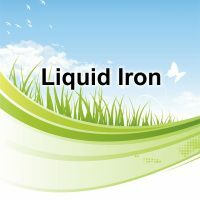 An IONIZED Soil Conditioner that doesn’t leach out. Aerify PLUS is simply a half and half mixture of our two best soil improvement products: Aerify! and Nature’s Magic. Click on the links for full descriptions if you haven’t read about them yet. Both of these products can stand alone as great ways to amend poor soils. 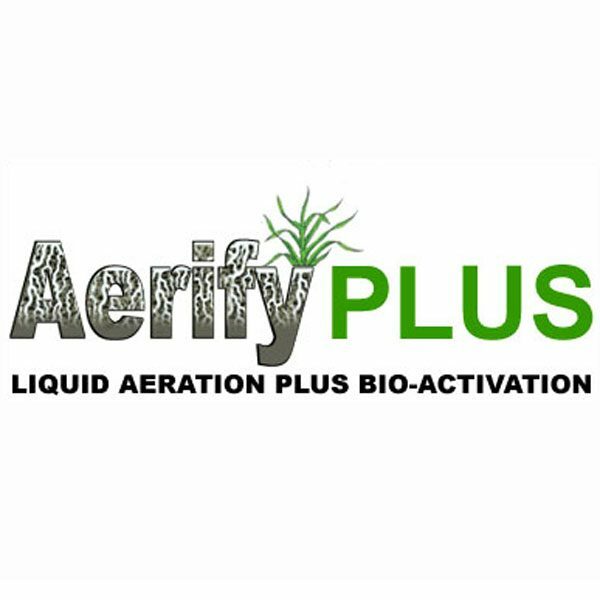 But when combined, you get the synergistic effect of aeration plus bio-activation and end up with an unbeatable soil conditioner. FOR COMPACTED OR HIGH CLAY CONTENT SOILS apply at 4 oz per 1000 sf. If using a hose-end sprayer, set it to 1 – 2 oz per gallon of water. Spray enough to wet the top of the grass or bed. Water in afterwards. Aerify PLUS contains a soil penetrant that breaks apart tightly bonded soil particles and clay. This creates “space” in the soil, allowing roots, water and oxygen to permeate. Once you get oxygen into a compacted or clay soil, beneficial, humus-building microbes will be able to survive. These microbes are needed to turn old roots and organic matter into all-important humus. But they can’t survive without air in the soil! 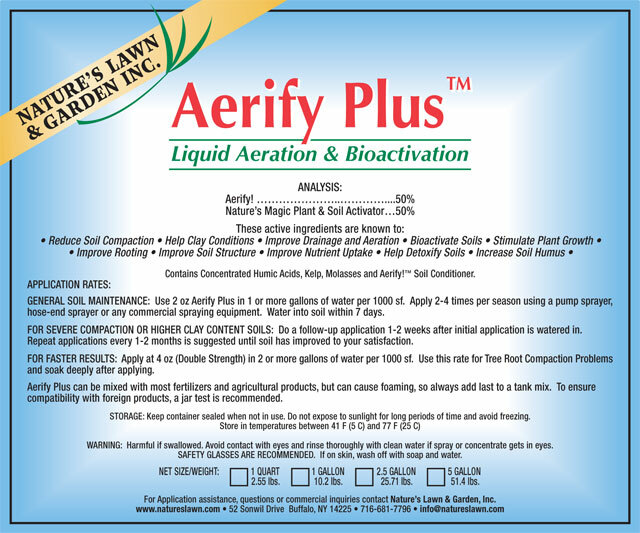 Aerify PLUS also contains liquefied organic matter in the form of Kelp and Humic Acids. These help generate and feed the beneficial microbes that are so vital to have. They also provide numerous trace elements and root stimulants to help trigger root growth. 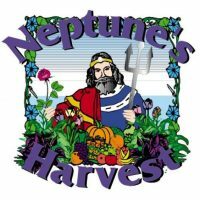 Once you have humus, you’ll have much better soil quality and structure. Aerify PLUS relieves compaction, helps create humus, and brings about the aerated, living soil that all gardeners love to have. Click here to read the article: How To Improve a Lawn Growing in Clay Soil. 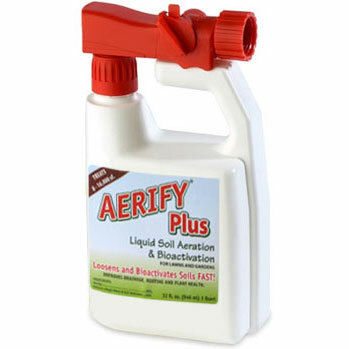 Aerify PLUS comes in quart, gallon, and 2½ gallon containers, as well as a 1 Quart RTU (Ready to Use) spray bottle. The spray bottle can be refilled and re-used or you can apply with your own hose-end sprayer, pump sprayer or tank sprayer. 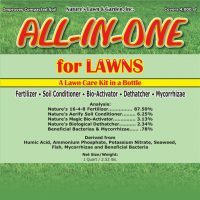 You can also mix the Aerify PLUS mixed with our Biological Dethatcher, or any of our Liquid Fertilizers. Add the Aerify PLUS last when mixing products for better results. We core aerated lawns for over 15 years. During that time I can’t recall any customers telling us they noticed any soil or grass improvement. Now that we do liquid aerations with Aerify PLUS, our customers regularly comment on the better looking grass and the improved drainage in the yard. As you know, we don’t just sell our products; we use them to improve our own customer’s lawns – most of which have high clay content. This year our lawn service company did over 2,000 applications of Aerify PLUS on customer lawns (and zero core aerations). 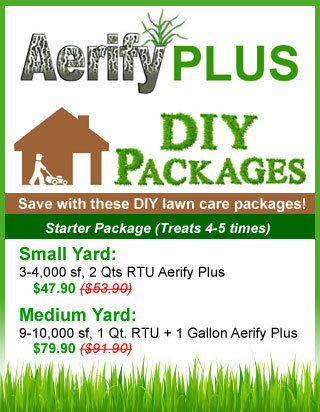 We also sell Aerify PLUS to lawn companies all across the USA. With regular applications of Aerify PLUS you can actually change the soil quality in your lawn and garden without tilling it up. Clay soils are dense, and slow to warm up in the spring. This delays the greening up of lawns. After a few years of Aerify PLUS treatments you can see how the lawn around our building gets off to an early start in the spring, compared to the golf course across the street. They’ll green up in a few weeks. Vital Information – Though some soils respond very quickly to Aerify PLUS, especially in improved drainage, we do not claim it to be an overnight miracle product. If you understand what a good soil really is, you know that you cannot change poor clays into real soils instantly by some magic formula, or tea, enzyme, chemical, polymer or biological mix. 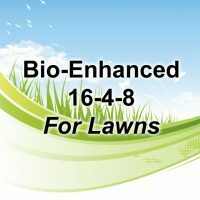 You need to increase aeration and soil bioactivity, raise organic matter content (usually), and then allow the soil biolife (including earthworms) to build up to levels where it can create humus and bring about the porous soil structure you are looking for. Soil rehabilitation is a process that does take some time to develop. It takes more or less time depending on the density of the clay or soil, organic matter content and overall quality (including toxicity, pH and mineral content of your existing soil). It takes Mother Nature thousands of years to make a few inches of good soil. With Aerify PLUS we’re trying to get it done within a season or two. The good news is that once you start to see visible soil changes, the soil will continue to get better and better, often for years, with continued use of Aerify Plus.